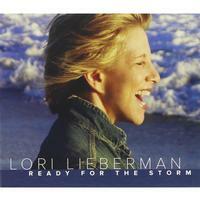 Singer-songwriter Lori Lieberman first connected with the Netherlands years ago when she was on tour with Rick Nelson. Since then, audiences there embraced her music and supported her in her concert tours and album sales. Featured here, are some of the talented artists who came to LA to write with her: Ruben Hein, Niels Geusebroek, Jan Dulles and 3JS, Sandra van Nieuwland, and a new title, written with the legendary Henny Vrienten. Songs written with Wendy Waldman, the Refugees, and a duet with Shane Alexander make this album her finest recording yet.